Daily Cheapskate: Another Passover Shopping Hack: Coconut Secret items (kosher for Passover) for $3.59 to $4.79 at Thrive Market. KFP "Soy" Sauce, KFP "Agave" Syrup, and more! Another Passover Shopping Hack: Coconut Secret items (kosher for Passover) for $3.59 to $4.79 at Thrive Market. KFP "Soy" Sauce, KFP "Agave" Syrup, and more! First, let's talk about the kosher aspect. The Star-K Agency has said in their 2018 Pesach Guide that select Coconut Secret items are approved for Passover when bearing a Star-K only; no other special Passover certification is needed (page 6). 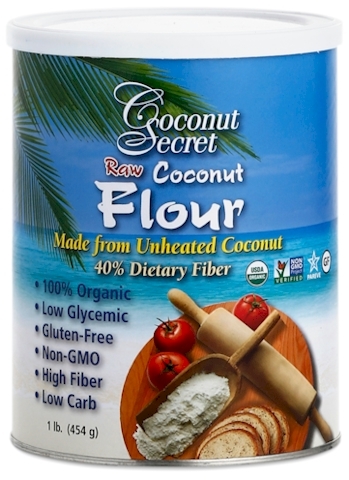 Coconut Secret products are not only KFP (kosher for Passover) but they are also nutrient-rich, gluten-free, low carb, low glycemic (developed by children of diabetics for their parents), non-GMO, 100% organic, and vegan. They are not only more nutritious than the items that they are subbing for, but they are also known to be delicious (not coconutty)! They can also be quite pricey if you buy them from health food stores. Thrive Market is a self-described "membership community that uses the power of direct buying to deliver the world’s best healthy food and natural products to our members at wholesale prices." Thrive Market carries four out of the five of Coconut Secret's KFP items for a fraction of their market prices, and when you join Thrive Market's completely free 30-day trial offer, you get your first three orders at 20% off. Sign up for Thrive Market's 30 day free-trial here. You won't enter any credit card at signup and your 30-day free trial will only start with your first purchase. If you don't cancel after you make your first purchase, you'll be charged $59.95 for a one-year membership (5 bucks a month). You're paying to have access to low prices on great-tasting, select nutrient-rich food. You can cancel at any time during the trial by sending an email here. Free shipping starts with a $49 purchase, so make sure you hit that mark to avoid shipping charges. Thrive also has various other KFP food items, live Extra-Virgin Olive Oils (double check that they are under the OU or listed the OU's 2018 Passover Guide), Virgin Coconut Oils (ditto, double check that they are under the OU), certain gluten-free Matzoh-style varieties and more. Remember that when you sign up for the free one-month trial, you get a straight 20% off your first three orders.